Jobs in Chennai – Flextronics Recruitment 2015 for Freshers – Apply Online. 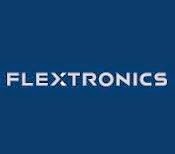 Flextronics Job Openings in Chennai for Jr.Engineer GBS Engineering Position. Only BE, B.Tech Graduates are eligible to apply for this position. Interested and eligible candidates can apply apply online through the below provided link. Ensure timely generation and circulation of reports / dashboards. Mentor the team and guide them towards effective discharge of functions. Train new and existing team members on an ongoing basis on relevant tools or topics. Prepare Customized reports for analyzing and incorporating improvements in processes. Excellent written and oral communication skills MANDATORY. Reporting & Decision making skills.